Universally recognized as the Master of Suspense, the legendary Alfred Hitchcock directed some of cinema's most thrilling and unforgettable classics. 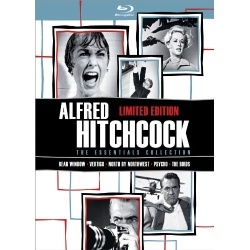 Alfred Hitchcock: The Essentials Collection features five iconic films from the acclaimed director's illustrious career including Rear Window, Vertigo, North by Northwest, Psycho and The Birds each digitally restored from high resolution film elements. 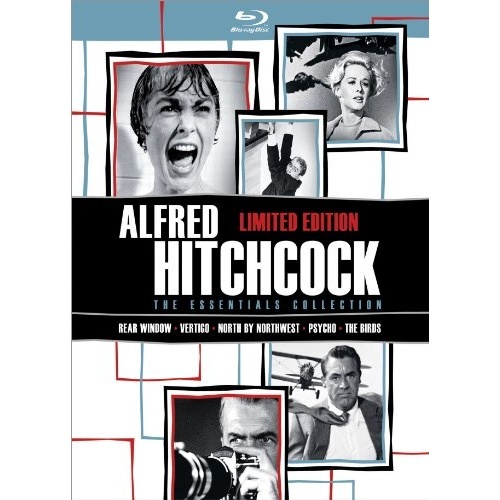 Starring Hollywood favorites such as James Stewart, Cary Grant, Grace Kelly, Anthony Perkins, Janet Leigh, Tippi Hedren, Eva Marie Saint, Kim Novak and Rod Taylor, this essential collection captures the most memorable moments in the career of a true cinematic master.